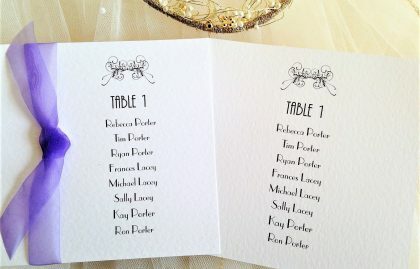 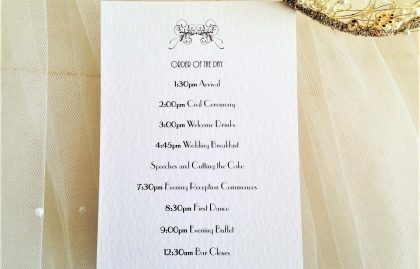 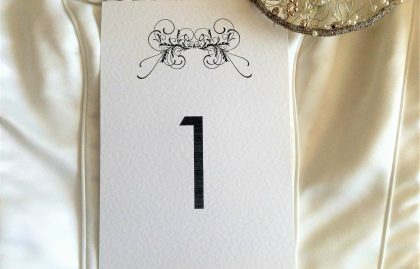 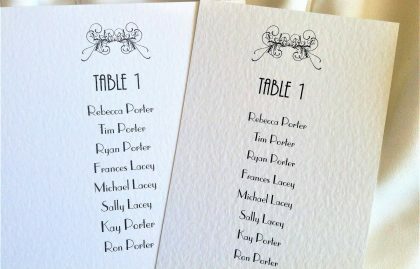 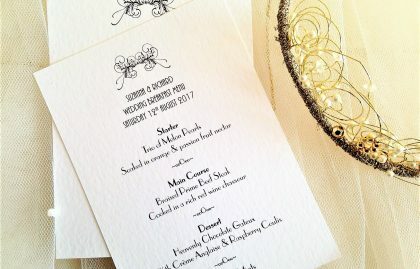 Art Deco Wedding Stationery to match for the whole day. 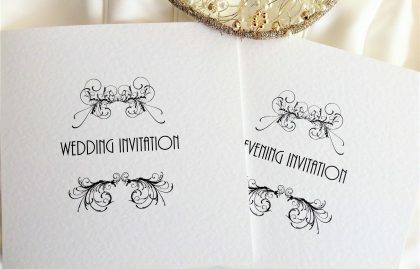 Art Deco Wedding Stationery Range. 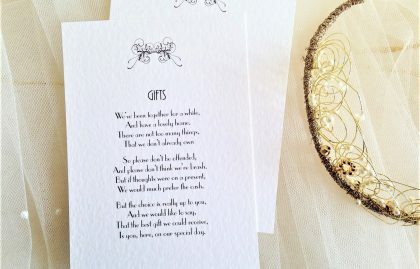 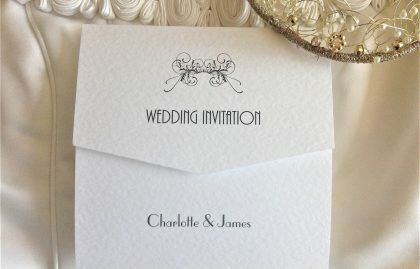 If your wedding theme is full of art deco glamour and 1920’s sophistication then our Art Deco wedding invitations and elegant matching wedding stationery collection is perfect for you. 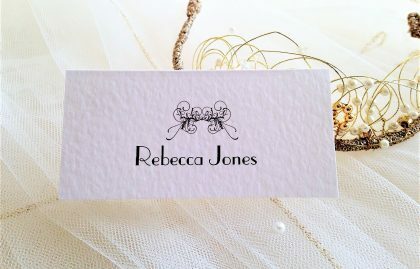 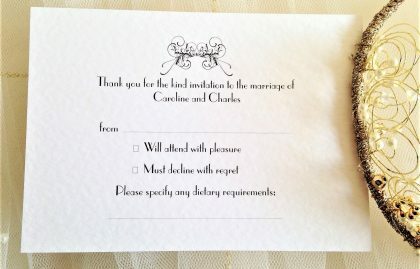 Our Art Deco motif is a simple, elegant design which looks attractive with or without ribbons and is produced on a thick hammered textured card. 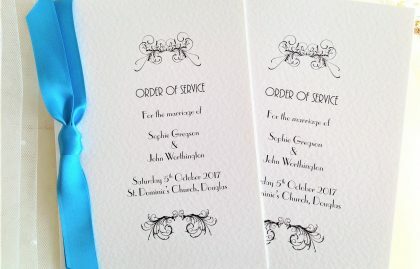 The formality of the black and white styling is a popular choice for weddings and we have ribbons in black and white available in satin and organza. 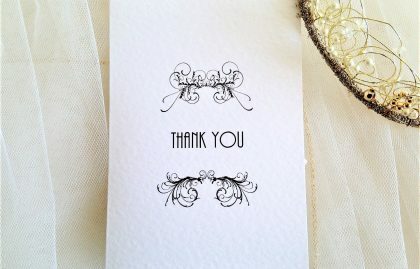 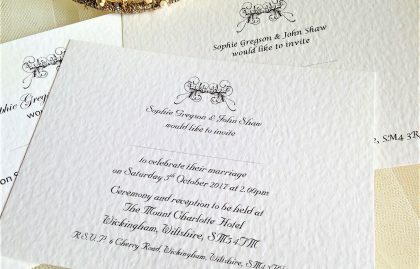 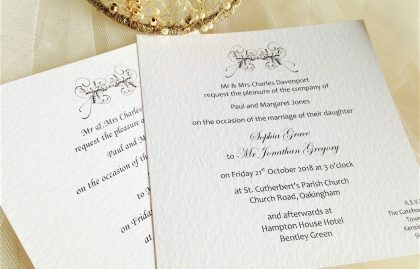 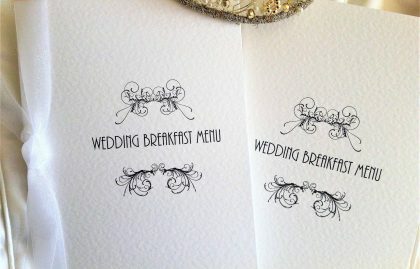 The Art Deco theme is on trend and our wedding stationery is available to order today for quick delivery.